Bishop Jordan has produced a stellar work that is guaranteed to free the mentally enslaved, acquit the wrongfully charged, and bring healing to the sick. The Laws of Thinking is not a work for the shallow-minded person. It is demanding and challenging. It is neither intended to be used as the basis for unmerited criticism nor as sermon material for the minister having difficulty receiving a fresh work from the Lord. It was created with a very clear aim: to provoke spiritual thought. Bill Gates’ Microsoft, Oprah Winfrey’s Harpo Productions, Stephen Spielberg’s DreamWorks, and even his own Zoe Ministries all began with a thought. Every invention, university, book, song, business, home, skyscraper, movie, stage play, and baby began when someone chose to think. Nothing happens without thought. Creation did not happen without God’s thought. 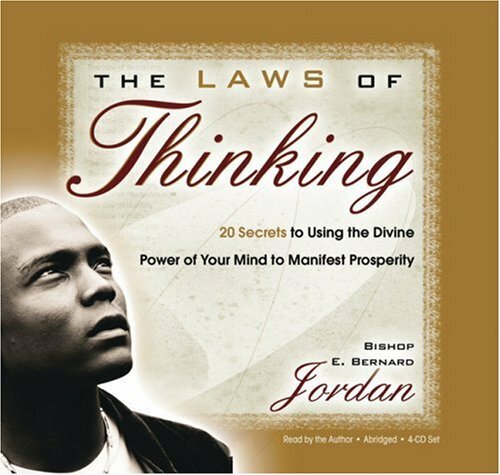 Bishop Jordan’s first objective is getting you to think.